An ounce of prevention is worth a pound of cure. At North Paws Veterinary Clinic in Maple Grove, MN, Dr. Coral Riggs recommends regular wellness examinations for the same reason your personal physician or dentist does: if your pet's health problem or issue can be detected in its early stages, there is a far greater likelihood it can be resolved and treated with less difficulty, less expense and greater success. During your pet's wellness examination, Dr. Riggs will perform a complete physical to assess your pet's overall health and give you, the pet owner, an opportunity to discuss any questions or concerns you may have. Have you noticed any recent subtle shifts in your pet's health or behavior? Have you observed any changes in body weight, appetite, water intake, urination and bowel habits and/or activity level? Changes may be signs of medical problems. Seemingly insignificant lumps and bumps under the skin may be indications of infection or cancer. Ear infections, abscessed teeth and gum disease are common, painful conditions that may not become noticeable until seriously advanced. A comprehensive physical examination helps your veterinarian and you evaluate your pet's health and make informed decisions about your special companion's veterinary care. Our commitment begins right when your new companion enters your family. Our goal is to provide you with the finest veterinary care possible so you and your beloved pet can focus on long walks, wagging tails, and a healthy and happy life together. During each examination, we also listen to your concerns, answer your questions and keep you up to date on all the information you need to be the best caregiver to your pet. Good communication between you and your pet's doctor ensures your beloved companion is receiving the optimal care and attention he deserves so he can live a long, healthy life. Whether purchasing a pet for the first time or introducing one into your multiple pet home, a puppy or kitten quickly melts your heart. Knowing how to properly care for your new pet will help eliminate any hassles and worries. 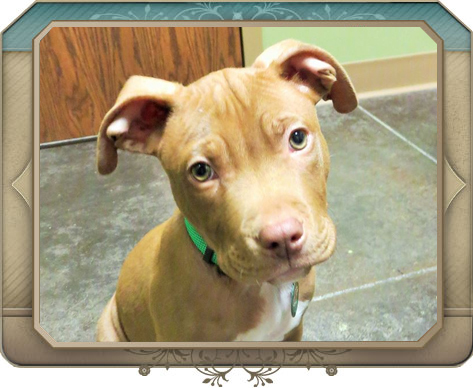 The team at North Paws Veterinary Clinic is always ready to support you with exceptional pet care and guidance, and we share your joy at welcoming this new family member into your life. The first item on your agenda should be a trip to North Paws Veterinary Clinic for a comprehensive physical examination by Dr. Riggs. 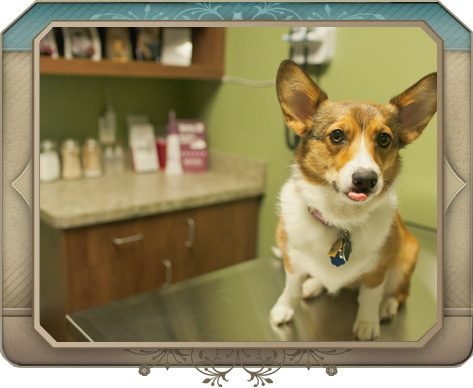 The initial visit provides an opportunity for you, your pet and Dr. Riggs to meet and get acquainted. This time is well spent and offers you, the pet owner, a chance to ask questions. 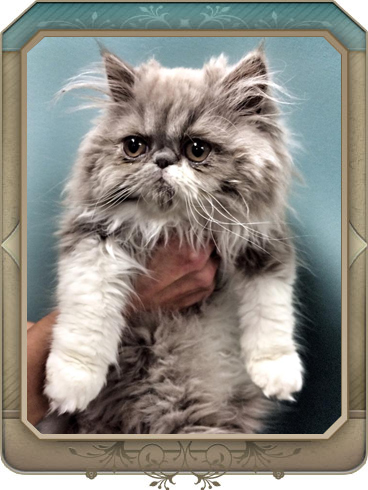 Dr. Riggs will also allay any concerns or anxieties you may have about owning a puppy or kitten. This is a special time for you, your family, and your young pet, and we want your memories to be cherished and worry-free. Just like health care for humans, veterinary medical care for pets is constantly evolving and advancing. To help you navigate your way through the various stages of care necessary to keep your beloved companion healthy, Dr. Riggs provides comprehensive veterinary care at an affordable price. It is important to all of us at North Paws Veterinary Clinic that your puppy or kitten start off on the right paw and enjoy a healthy and happy life. If you are interested in our Kitten or Puppy Preventative Care Packages, please contact us for more information. Vaccinations are the number one way you can protect your beloved pet from serious infectious diseases. Your veterinarian can create an individual immunization program for your pet based on his/her lifestyle and your local conditions. Rabies: Rabies virus is fatal and all warm-blooded animals (including humans) are susceptible to infection. Most states require rabies vaccinations by law. Lyme Disease: Carried by ticks, Lyme Disease is extremely prevalent in the entire Great Lakes region, but especially in Minnesota and Western Wisconsin. Bordetella ("Canine Cough"): The bordetella bacteria causes an extremely contagious upper respiratory infection. Your veterinarian may recommend this vaccine before your dog attends a doggy daycare program, a boarding facility or a dog show. Feline Viral Rhinotracheitis, Calcivirus and Panleukopenia (FVRCP): Commonly referred to as a distemper vaccine, this combination vaccine protects against feline viral rhinotracheitis, calicivirus and panleukopenia. Fleas and ticks are more than a nuisance; they carry diseases dangerous to both you and your pet. Fleas can transmit tapeworms, and often you can see segments of the tapeworm in your pet's stool. In our region, ticks can carry a variety of serious illnesses, including Lyme disease, Anaplasmosis and Ehrlichiosis. Ticks tend to thrive in wooded areas or in high grass. It is often difficult to keep your pets away from tick-infested areas, so if they go exploring, check them when they come inside. Flea and tick problems can be avoided by using parasite prevention products available at our hospital. We have selected prescription-strength products due to their proven efficacy and they are available at our in-house pharmacy. Other flea and tick control options are also available via our online pharmacy. Heartworm disease is a serious ailment spread by mosquitoes. Fortunately, preventive medications exist to prevent Heartworm disease in your beloved companion. Dr. Riggs at North Paws Veterinary Clinic recommends administering preventive medication once a month, all year. 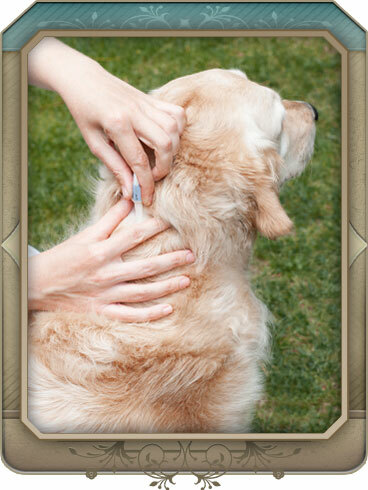 We also provide injectable heartworm prevention, which is administered by Dr. Riggs every 6 months. When Should I Test My Dog for Heartworm? Symptoms of Heartworm are not always immediately apparent. Therefore, it can be difficult to detect symptoms in your pet. Some dogs may show no signs of the disease, while others may exhibit clinical signs, such as a mild, persistent cough, reluctance to move or exercise (lethargy), fatigue after only moderate exercise, reduced appetite and/or weight loss. Cats may exhibit non-specific clinical signs, such as vomiting, gagging, difficulty or rapid breathing, lethargy and weight loss. If your pet is experiencing these symptoms, please contact North Paws Veterinary Clinic to schedule an appointment. The length of the heartworm season in the region where the pet lives. Since it is easier and more convenient to protect your pet from disease and illness Dr. Riggs at North Paws Veterinary Clinic recommends you have your dog tested yearly for heartworm disease, as recommended by the American Heartworm Society. North Paws Veterinary Clinic carries the best products to prevent heartworm disease in your pets. Topical liquids, oral tablets and biannual injections are available. Contact North Paws Veterinary Clinic today to set up a heartworm test for your pet. If you would like more information about the veterinary wellness services North Paws Veterinary Clinic offers for your pet or to schedule an appointment at our animal hospital in Maple Grove, please contact North Paws Veterinary Clinic.